Students for Life of America will be hosting an event that will allow students to hear from inspiring pro-life activists that are changing the culture on campuses across the country! 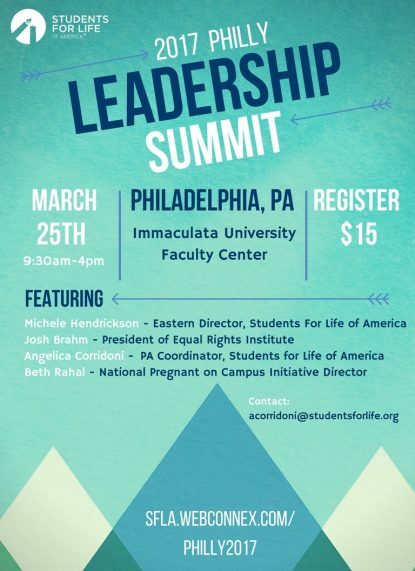 With personalized, hands-on training and preparation, the SFLA Leadership Summit will leave you confident in your goals and grow as leaders in the pro-life movement! Plus, you get to meet and network with all the other amazing pro-life student activists in your region!